Some folk are thought to have something in their veins that just drives them to great lengths to follow their dream. Roger Hargreaves had aviation and his beloved Britannia Charlie Fox running through his veins. I first met Roger one day down at Kemble where Charlie Fox was being stored with the Bristol collection. 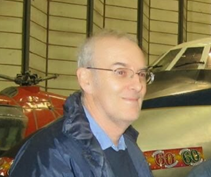 It was a special meeting in as much I renewed my acquaintance with an aircraft that I had worked on in the sixties when it was with British Eagle but also to meet up for the first time with Roger. His enthusiasm for the restoration project of Charlie Fox was beyond doubt. 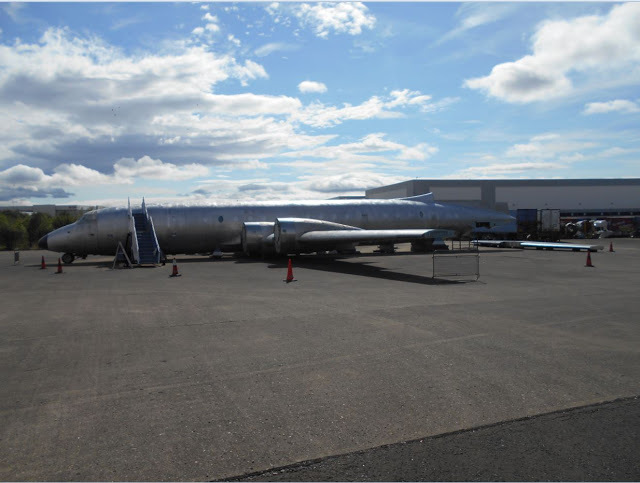 It has been many years since it was saved from the fire dump at Manston airport. The aircraft was eventually moved to various airfields in an effort to save it. It was before it left Kemble airfield that it came the closest to being scrapped. Roger’s determination to save the aircraft would not allow him to give up on the project. I recall the night he called to say he had found at last a site for the aircraft. It was to go to Speke, Liverpool (the old hunting ground of British Eagle) with the help of what was then the Jet Stream Club. As the aircraft, (which arrived in three parts) was reassembled, Roger was now in a very positive mood. Yet, it was to be a time of many difficulties but his determination never flagged. Roger was deeply saddened by the passing of Mike Bates his co-worker on the project from the start. However his enthusiasm and determination never waned. In employment Roger worked for a number of airlines and in general aviation. He was considered by many a professional in his work. He held the record of being the shortest serving employee when he started work for British Eagle; he joined the company on the day that it went into liquidation! He operated his own company Proteus Aero Services in the early days which was involved in the saving of several aircraft that are still around today. We, the team who work on Charlie Fox, will seek to continue the progress of its restoration and will not give up. Roger a few weeks ago was planning how the future would fan out without him. Roger will truly be missed not only as a friend but one who dreamed the impossible dream. We will continue to make that dream become a reality. We send our love and deepest sympathy to his wife Sally and Angel. It has been suggested that people might like to make a donation towards the restoration of Charlie Fox in Roger's memory. You can make a donation through this site.